Yoga is a wonderful practice to add to your daily workout routine. It can help you relax your body and mind and get refreshed for the challenges ahead of you. Doing Yoga is more than just doing challenging poses. There is a breathing element to it as well. 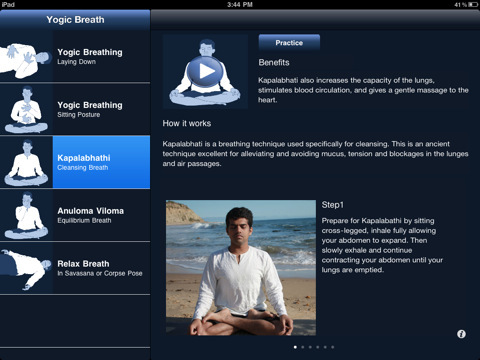 Yogic Breath is a cool little app that shows you how to master the art of breathing for Yoga. Yogic Breath is all about helping users master the art of breathing. It contains clear instructions and video demonstrations to get you there slowly. Each practice comes with clear descriptions and benefits so you know why you should do it. If you have had trouble mastering the breathing part of Yoga, Yogic Breath can help. 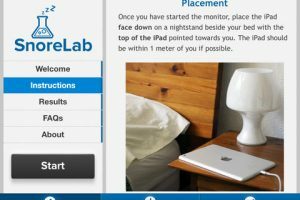 It has a ton of good instructions and is free too. A must have for Yoga practitioners.